Lakshmi Manchi will be seen reprising the role played by Neha Dhupia in the original which is that of a station head of the radio channel. That Jyothika will be playing the lead in the Tamil remake of Tumhari Sulu which was played by Vidya Balan in the original is something we all know now. The remake will be directed by Radha Mohan who made notable films like Mozhi, Abhiyum Nannum and Payanam. The film is currently under the pre-production stage and will go on shooting floors soon. 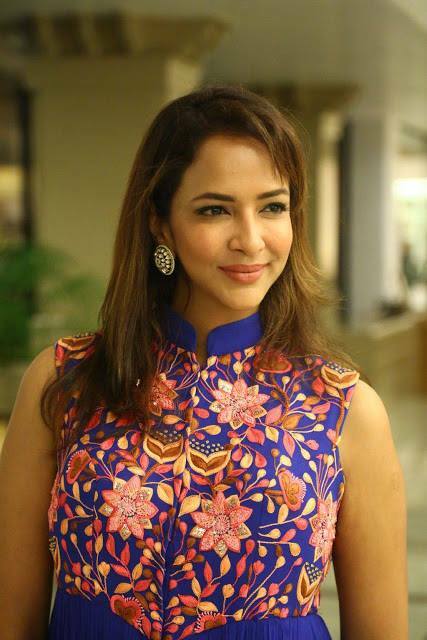 And according to latest update, Telugu actor Lakshmi Manchu will be seen an important role in the film. Lakshmi Manchi will be seen reprising the role played by Neha Dhupia in the original which is that of a station head of the radio channel. Lakshmi Manchu had made her debut on Tamil with Mani Ratnam’s Kadal. “I signed the film after meeting the makers on Wednesday. After Mani Ratnam’s Kadal, I didn’t do a Tamil film, so I’m pretty excited about this project,” Lakshmi Manchu was quoted as saying by TOI. “I haven’t seen the original yet, but heard a lot of good reviews about it. I’ve got the DVD and shall watch it immediately. The characterisation will be the same, you’ll see me play the station head of a radio channel like Neha Dhupia did in the original. Also, in Tumhari Sulu, Neha was seen sporting a very stylish look, so I was very particular that I get to look stylish too in the remake. I’m done with de-glam avatars,” Lakshmi added further speaking about her role. The report further reveals that both, Jyothika and Suriya, were keen on having her on board for that role much to the joy of the actor. “The makers had told me that both Jyothika and Suriya felt I’m naturally sweet and commanding, not just authoritative, but endearing. That’s exactly how Neha’s character is like, so they felt I would be perfect to play the role,” Lakshmi added further.